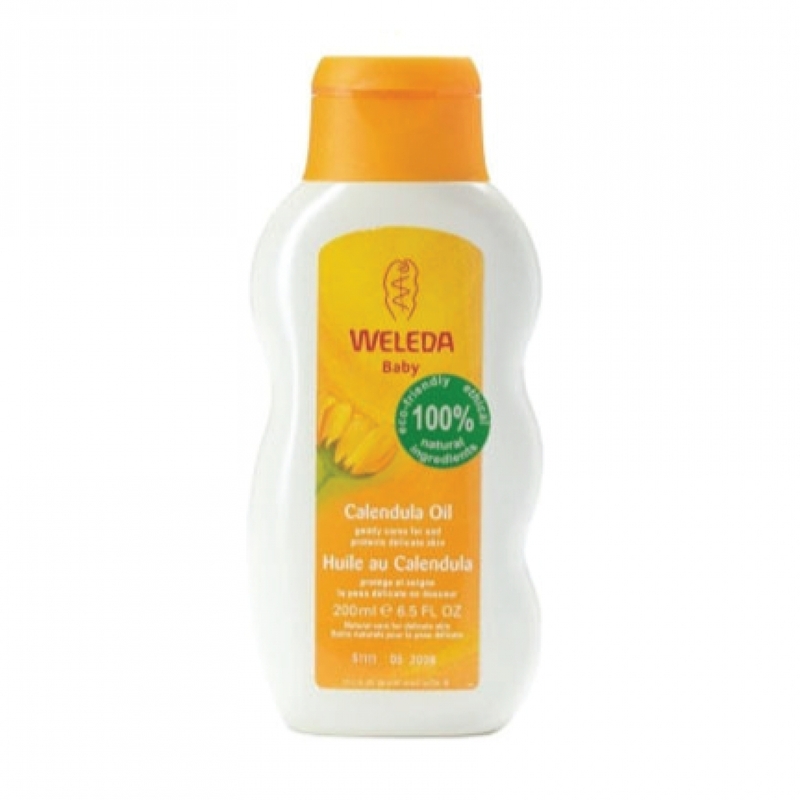 Weleda Calendula Oil is a naturally scented oil, made with 99% organic ingredients, that nourishes and moisturizes delicate skin. Dermatologically proven to be skin-friendly, this fast-absorbing body oil contains a nurturing combination of organic calendula and chamomile flower extracts to calm and soothe baby's skin. Made with only simple, natural ingredients, Calendula Oil contains nourishing sweet almond oil, rich in vitamin E and essential fatty acids, to deeply moisturize and keep baby's skin soft, smooth and healthy. Warming and comforting, Weleda Calendula Oil will help soothe your baby to sleep when used after an evening bath and before bedtime. Sesamum Indicum (Sesame) Seed Oil, Prunus Amygdalus Dulcis (Sweet Almond) Oil, Calendula Officinalis (Calendula) Flower Extract, Chamomilla Recutita Matricaria (Chamomile) Flower Extract, Fragrance (Parfum)*, Limonene*, Limonene*, Linalool*, Geraniol*, Citral*, Citral*. 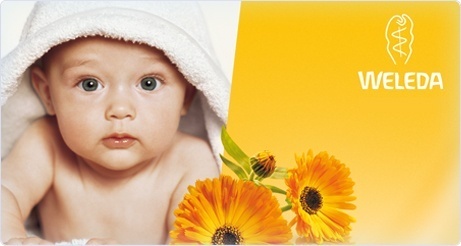 After bathing, use Calendula Oil as a moisturizer on dry skin or for an infant massage. Massage has a calming and soothing effect, and the movements help your child become familiar with the contours of his/her body. To use as a safe, gentle diaper wipe, put a few drops of Calendula Oil on a damp cloth or cotton pad and gently clean the area. It all goes back to 1921 in Switzerland when a philosopher, Rudolf Steiner understood that a human body has the potential to heal itself, but sometimes it needs a little help. So Weleda was formed to make products that work holistically, supporting our own bodies’ healing potential and the name couldn’t have been more appropriate: Weleda is the name of the Celtic goddess of wisdom and healing. Weleda products are totally natural. All Weleda products are guaranteed 100% natural by Natrue, an international kitemark to help you identify products that are genuinely natural. 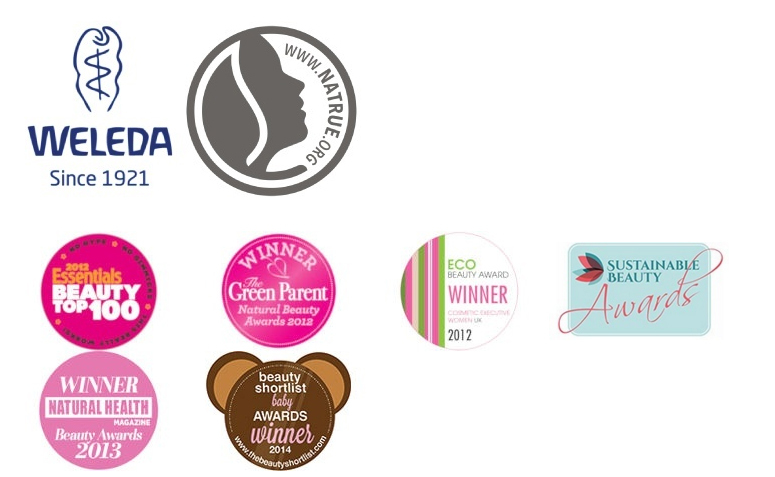 When you see the Natrue logo you can be assured the product is truly natural and free from artificial colours, fragrances and preservatives. Not only that – they have never tested on animals.